Serverless computing is changing the way of computation in the cloud and even in the network edges. Companies are spending time and money to maintain their servers and related software in order to make their business application up and running for their users. Traditional server-based computation slows down companies to go to the market which may lead to negative cash flow for their business. In this article, I’m going to describe serverless computing and compare some serverless platforms and toolkits provided by different companies and open source projects. Presentation Layer where a UI is provided for the user. Application Layer which runs the logic/program. 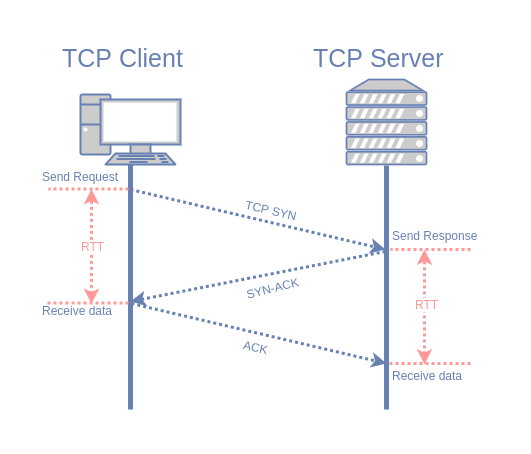 The following figure represents the traditional Server-based computation. Also, the application/architecture should be highly available and has fault tolerant, load balancing capability, scalability, etc. These disadvantages and requirements lead to the creation of a new concept which is Serverless. 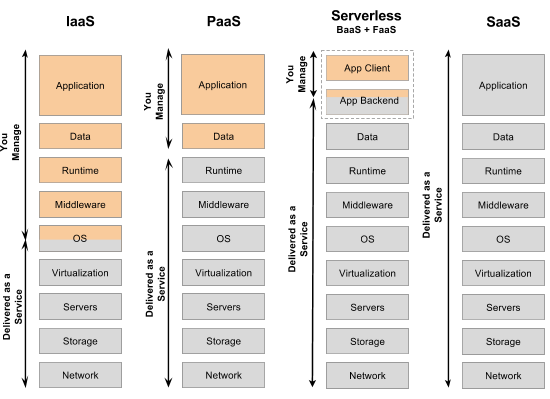 Serverless most often refers to serverless applications which are ones that don’t require you to provision or manage any servers . With this approach companies can focus on the business/logic without having worry about the servers. It means faster time to market. 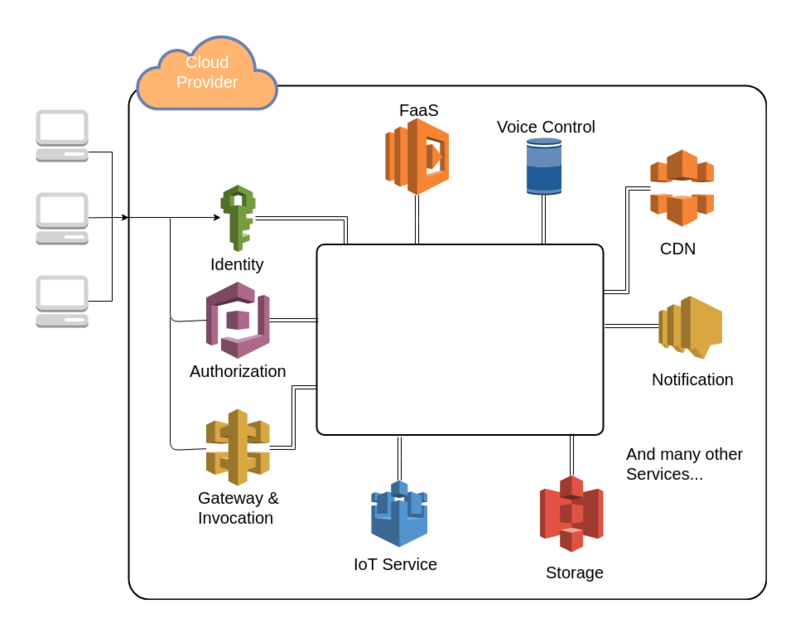 Serverless computation require some layers of infrastructure which are basically cloud service models which are shown in Figure 2. Platform as a Service (PaaS) is a cloud computing model which third party provider delivers hardware and software tools which are needed for development . Like AWS Elastic Beanstalk, Windows Azure, Heroku, Force.com, Google App Engine, Apache Stratos, OpenShift. Unlike Infrastructure as a Service(IaaS) which provider supplies the basic compute, storage, networking infrastructure along with the hypervisor. Users must then create virtual machines, install operating systems, support applications and data, and handle all of the configuration and management associated with those tasks . Examples of IaaS are DigitalOcean, Linode, Rackspace, Amazon Web Services (AWS), Cisco Metapod, Microsoft Azure, Google Compute Engine (GCE). Function as a Service (FaaS) provides a platform that allows customers to develop, run, and manage application functionalities without the complexity of building and maintaining the infrastructure typically associated with developing and launching an app . Serverless computation will lay in this service. Backend as a Service (BaaS) is microservice in the cloud that can run independently and provides user services like user management and authentication, push notification, etc. These services will expose APIs so mobile or web applications have access to them. Figure 4 represents some examples of different cloud models from different cloud providers. Next level on cloud service model would be Software as a Service(SaaS) which is a software licensing and delivery model in which software is licensed on a subscription basis and is centrally hosted , in another word, the complete cloud based applications that users can use them directly like Google Apps, Dropbox, Salesforce, Cisco WebEx, Concur, GoToMeeting. 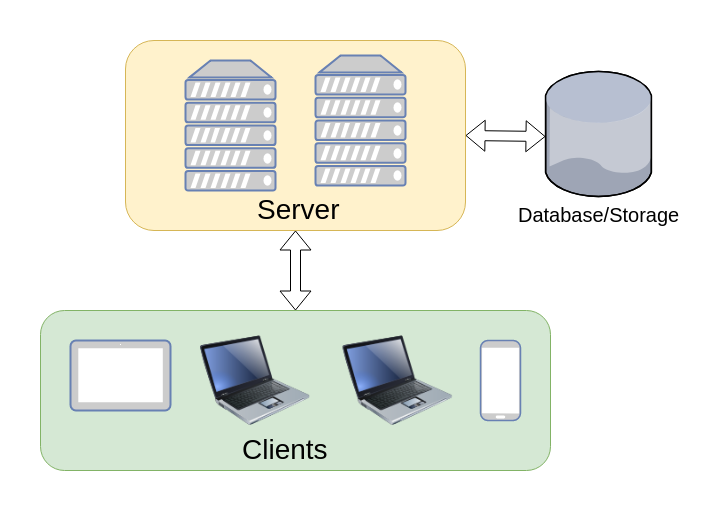 The functionality of serverless applications in all providers is somehow similar in a way that the client will send a request to the cloud provider, this cause specific event(Handler) to be triggered and consequently, the related function(s) will be fetched. Then the function will be loaded on to the container, and after building the response, finally, the user will receive it. Figure 5 gives insight into the requesting and handling in more detail and Figure 6 gives the general overview of the procedure. Serverless use case, platforms, and toolkits are discussed in the following sections. It also consists of three major computations namely Cloud-, Fog- and Edge-computation. 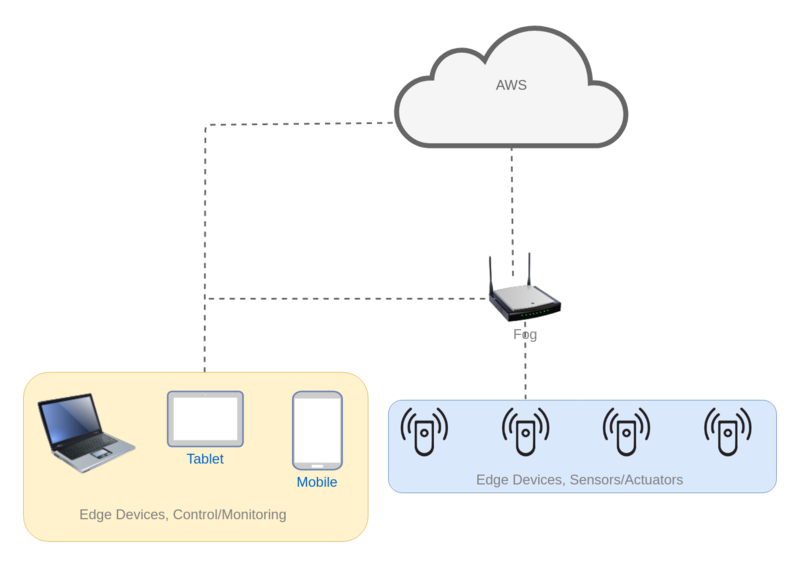 Simplified architecture is shown in Figure 7.
as an IoT device, through Fog for accessing the AWS IoT broker and service. This architecture can be used for different projects which need some computational power. Edge devices can measure different parameters like temperature, humidity, PH, camera, etc. and send them to upper levels, namely Fog and Cloud, or to other edge devices/mobile app for controlling and monitoring purposes. Some IoT devices which have a camera, need more computational power for doing Machine Learning processes. In order to enable this functionality pictures/frames should be sent to the cloud as there is no limitation for computational power. For saving values in the database. Each sensor will send data to the cloud at each hour by default. These values will be timestamped and stored on RDS. For requesting another AWS services for the edges. Some edges which have a camera, need to send data to the cloud in order to process and store. So they trigger lambda first to store on database and starting ML processing. Exchanging data between IoT devices. This lambda will be triggered whenever one device wants to send its data to the other device which are not in the same group. These lambdas can be triggered in two ways with the use of API Gateway or MQTT. I’ve used VS Code for developing lambdas, and deployment has been done directly in AWS console. There are lots of serverless toolkits, for development and deployment of a serverless application, and serverless platforms that we’ll see them in the next sections.